Can House Cleaning Improve Your Health? If you are someone who isn’t in the habit of keeping the house clean and doesn’t see its importance, you may want to reconsider. We all know a clean home looks great, but more importantly, research shows that it can make you feel great too – mentally and physically! The Environmental Protection Agency says that indoor air can be five times more polluted than the air outside. So if you’re spending most of your time inside, you could be inhaling dust mites, mold, pollen, and many other toxins that are detrimental to your overall health. Reduced allergies – Many of the toxins we mentioned earlier are major causes of scratchy eyes and runny noses, but a fresh clean home keeps the dust and mold out and reduces the number of impurities floating around in the air. Sanitation – Dirty kitchens and bathrooms can be the perfect habitat for bacteria and viruses. Germ-killing cleaning products will destroy illnesses like E. coli, staph bacteria, and Salmonella that could be lurking in your own home. Less stress – Just being in a clean home can make you feel at ease, especially with the knowledge that there are now fewer chores on your to-do list. Reduced risk of injury – This one is simple: Without clutter, you are less likely to trip over toys, clothes, stacks of boxes, or whatever else is lying around. More social opportunities – A house that appears sloppy and poorly maintained isn’t likely to be the social hotspot for you and your friends. When everything looks clean and in order, aren’t you more inclined to host get-togethers at your place? There’s no need to feel embarrassed about the state of your home. We can create a tidy and welcoming environment that your guests will admire. Call A1 Sparkles and Keep You and Your Home Healthy! If you are sick and tired of living in a dirty home, A1 Sparkles is here to help! 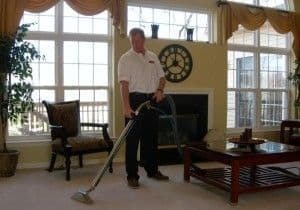 Our work is backed by a 100% Satisfaction Guarantee, so when you work with us you’ll be sure that your home will get the thorough cleaning it deserves. Plus, our rates are extremely competitive and affordable. We proudly serve Philadelphia, Montgomery County, Bucks County, Berks County, Chester County, Delaware County, Delaware and South JerseyMontgomery County area. Give us a call today at 610-292-9069 and get the best cleaning services in the area! If you are looking for cleaning services in the Philadelphia suburbs please call A1 Sparkles Cleaning at 610-292-9069 or complete our online request form.